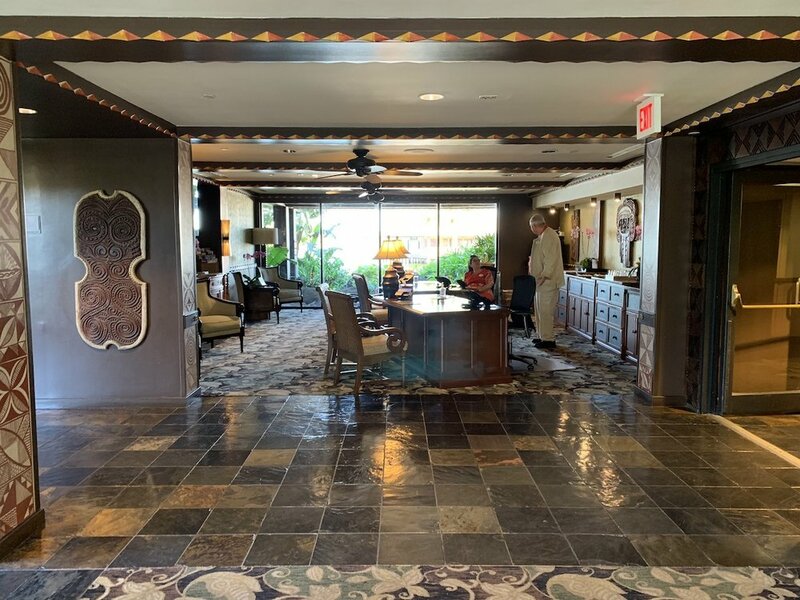 In this post, we review the King Kamehameha Club, the Club Level offering at Disney’s Polynesian Village Resort. If this is the first post of ours you’re reading, there might be two others you’re interested in. First, we have separately reviewed Polynesian. If you’re looking for information about the hotel generally, including pictures of our Theme Park View room, you’ll need to read that post. Second—and maybe more importantly—we have an entirely separate post covering the ins and outs of Club Level at Walt Disney World. If you’re wondering about the details of whats included, whether it’s worth it, and just how we evaluate it broadly, you’ll want to check out that post. This post focuses specifically on the King Kamehameha Club Lounge at Polynesian. We booked our most recent visit to Polynesian through our choice Authorized Disney Vacation Planner, Lauren Quirk at Enchanted Escapes Travel. We paid $824.40 per night for our Club Level Theme Park View room using an annual passholder deal. The rack rate for the room was $1030 per night, which put our discount at 20% off. In 2019, room rates at Polynesian start at $546 while Club Level rooms start at $747. Polynesian has a dedicated desk for Club Level guests next to the rest of the check-in desks. This was especially nice because we arrived at around 2PM, which meant there was decent line for regular check-in. After a short exchange of information at that desk, we were escorted to the Hawaii building, where our room and the King Kamehameha Club Lounge are located. At the King Kamehameha Club, we were seated with one of the concierge Cast Members who gave us the schedule for the lounge and a resort map. The King Kamehameha Club Lounge is located in the Hawaii building with most of the Club Level rooms. Access to the entire building is secured by Magic Band. The lounge is one big room with two floors of seating, overlooking Seven Seas Lagoon and Magic Kingdom. On the first floor of the building is the club’s concierge desk, which is staffed by two concierge Cast Members from 7AM to 10PM. The building’s second floor is where most of the lounge seating is as well as the serving area. There’s also a television that mostly played children’s shows while we were there. There’s seating for 42 adults and four children. The serving area is a little cramped. The third floor has additional seating and a second television. This floor overlooks the second. There’s seating for about seventeen people. In keeping with the rest of Polynesian, the design throughout is beautiful. The King Kamehameha Club Lounge looks across the Seven Seas Lagoon at Magic Kingdom. I actually quite enjoy this view, and I think in some ways—though not overall—it’s better even than the Atrium Club’s view into Magic Kingdom. For example, the King Kamehameha view is beautifully panoramic, with Polynesian’s bungalows in the foreground, Grand Floridian off to the west, Contemporary to the east, and Magic Kingdom in the middle. There’s a beautiful balance to this view. This also means your firework view is closer to the proper angle than you’ll get at the Atrium Club, which looks into Magic Kingdom from the side. Our Theme Park View room had a similar view, and we loved it. 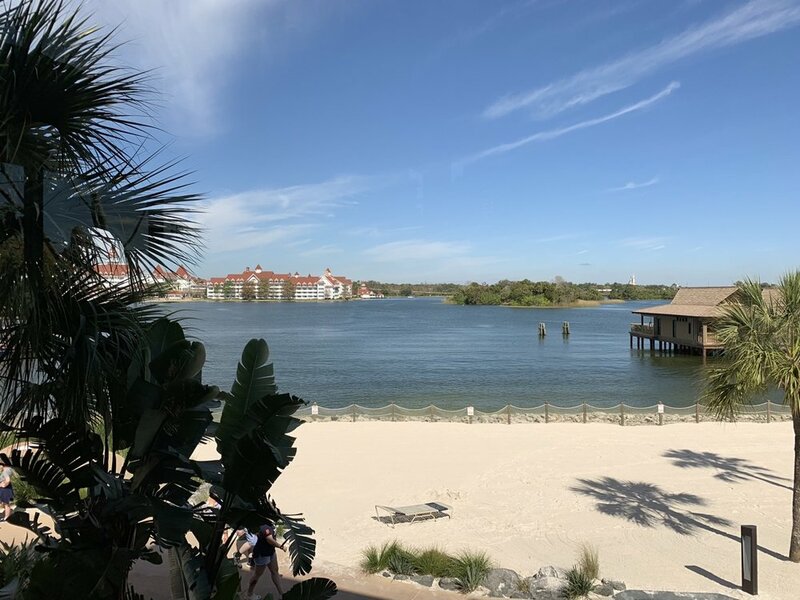 We have a post Comparing Theme Park Views of Magic Kingdom at the Monorail Resorts if you’re set on a special view. We were very happy with the service at King Kamehameha Club. Staff were constantly walking around keeping the lounge clean. Even outside the evening servings, it was common for staff to check on guests, take away dirty dishes, and ask if they needed anything. Unlike some of the other clubs, this wasn’t confined to just certain hours or certain Cast Members, service was stellar throughout our stay. We received two welcome cards in our room, though one looked like it was just a general welcome back card for returning Polynesian guests. We also received a personalized itinerary, which is common at Disney’s Club Levels. The lowest priced room at Polynesian (ignoring discounts) is $546. The lowest priced Club Level room is $747. Unlike some clubs, you don’t automatically get a better view with a King Kamehameha club room, so you’re actually paying $201 just for lounge access. For a family of four, $201 isn’t so bad for lounge access. It’s $50 / person. If you can get the equivalent of 1.5 to 2 quick service meals out of the lounge, your out-of-pocket costs aren’t huge. Realistically, most families can replace breakfast with a visit to the lounge daily, but will expect to be out and about for the other meals. And then there’s the question of view. The lounge itself has a great view, and in fact the lowest priced Club Level rooms are cheaper than the lowest priced Theme Park View rooms without Club Level, which start at $784. To get the Theme Park View and Club Level, you’ll be starting at $1019, which honestly we’d never consider worth it. 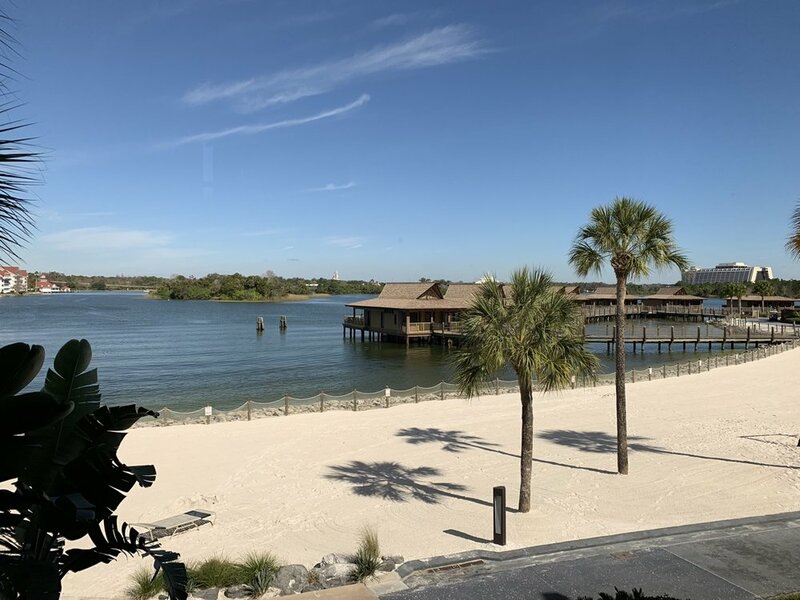 It’s not the same as having complimentary continental breakfast in an air-conditioned room, sure, but if you just want to sit back and soak in the views of the Seven Seas Lagoon, you don’t need to pay a premium to do so. We’re really happy to have had a positive experience at King Kamehameha. Overall, we hold Polynesian to a pretty high standard, and the King Kamehameha Club did not disappoint. The service, food, and lounge itself were all excellent. The problem, as with all things Polynesian, is price. The entire Polynesian Village Resort is a stunning experience, and it’s hard to say exactly what Club Level adds to that for $200+ per night. King Kamehameha definitely has a spot among the best Club Levels at Disney World. It is a solid product at a reasonable price. However, unlike the Atrium Club Level, which offers one of the most exclusive views on property, or Kilimanjaro Club which has an exceptional food lineup, King Kamehameha has no “it” factor to make it a must-do experience. Then again, Polynesian is itself one of the more escapist hotels at Walt Disney World. You’re paying for the entire experience—the smells, the view of Seven Seas Lagoon, and the excellent restaurants and bars. If you’ve read this review and thought the King Kamehameha Club Level might be a deserved cherry on top of that sundae, then we think you’re in for a treat!